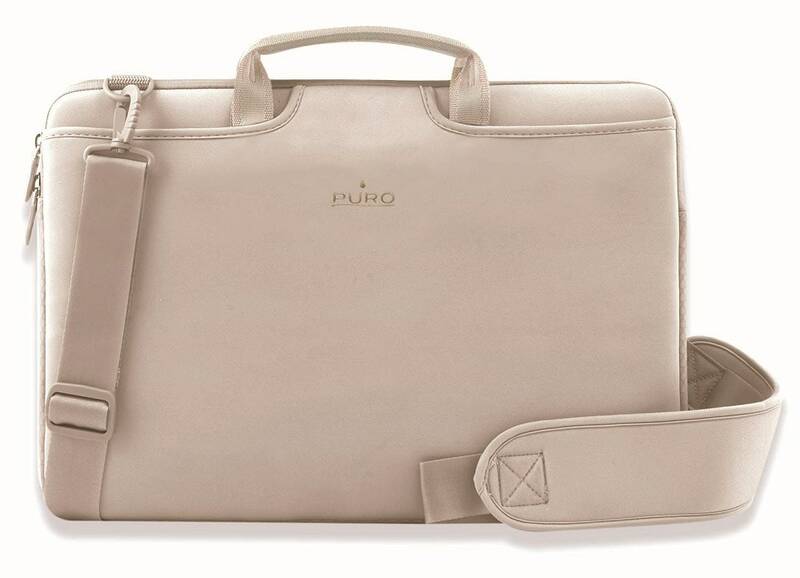 PURO offers an original design and the highest quality of laptop bags. By creating a collection of bags, cases and backpacks for laptops is the result of their work, products which improves the appearance and functionality of your laptop. Minimalist design, easy to carry and perfect fit is typical of these laptop bags, made of resistant and soft neoprene with coloured, synthetic, soft interior that absorbs shock. Neoprene is a lightweight, soft and durable material and therefore provides the best protection against your beloved Puro laptop. Padded handle and an adjustable shoulder strap makes it easy to carry your MacBook Pro 13.15 or 17 “to wherever you are going. PURO Scudo laptop bags offer perfect design and comfort overall. The bags are available in 4 different colors (black, blue, ice-cream and beige) and three sizes (13 “, 15” and 17 “).